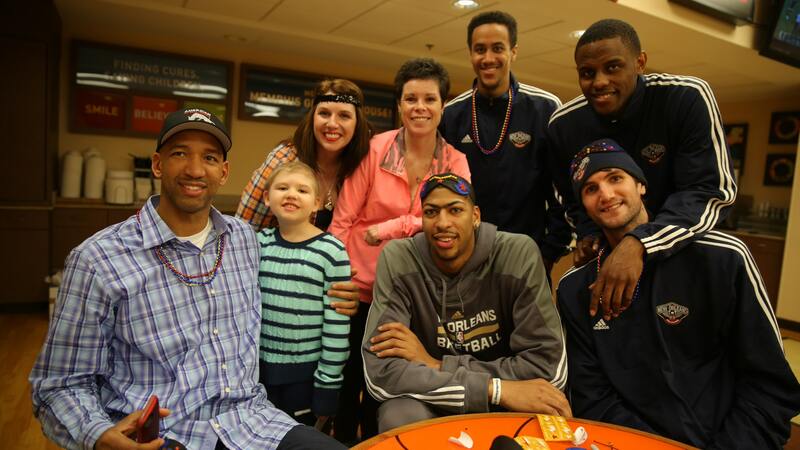 The New Orleans Pelicans visit St. Jude Children's Research Hospital in Memphis. The scene unfolding inside St Jude Children’s Hospital in Memphis Sunday was quite unusual as a dozen tall men wearing beads sat hunched over small craft tables, stickers and glue sticks in hand, helping young patients decorate Mardi Gras masks in honor of Carnival Season. Coaches and players from the New Orleans Pelicans continued the tradition that head coach Monty Williams started when he took the helm of the then-Hornets by heading straight to St. Jude upon arriving in Memphis. 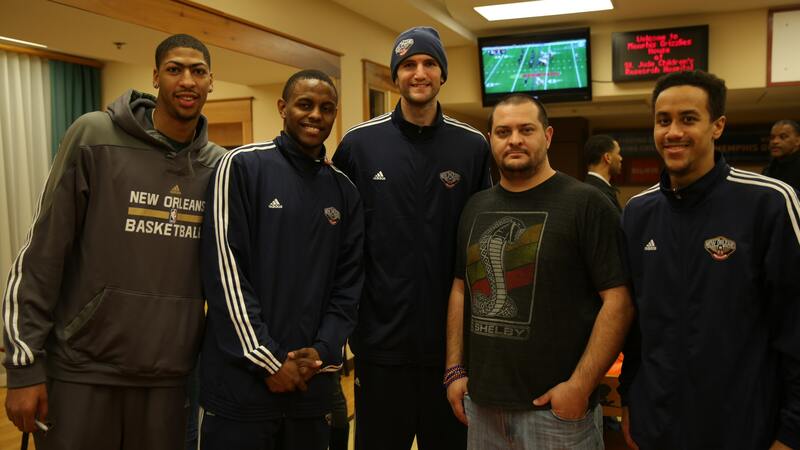 "This is lots of fun for me," Darius Miller said. "I learn something new about this amazing organization every time I come. It’s inspiring how hopeful and strong these families are. It reminds me how blessed the rest of us are. 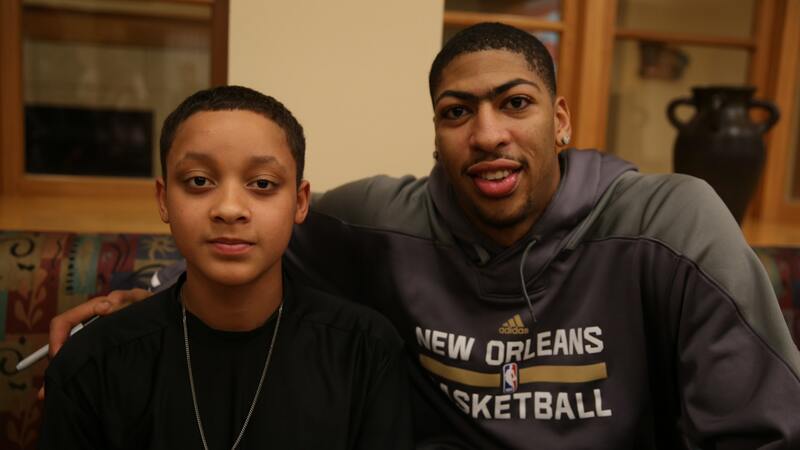 It puts basketball in perspective." It costs $1.9 million dollars a day to run St. Jude, and many players were amazed to learn the average donation is just $30. When St. Jude opened in 1962, the average survival rate for childhood cancer was 20%. Now it’s 80%, and the hospital’s goal is to raise that to 90% in the next decade. "It’s so cool to just be a small part of helping these kids," Jeff Withey said. "It’s really an honor to get the chance to bring a smile to their face, when you think about what they’re going through, what their parents are going through. 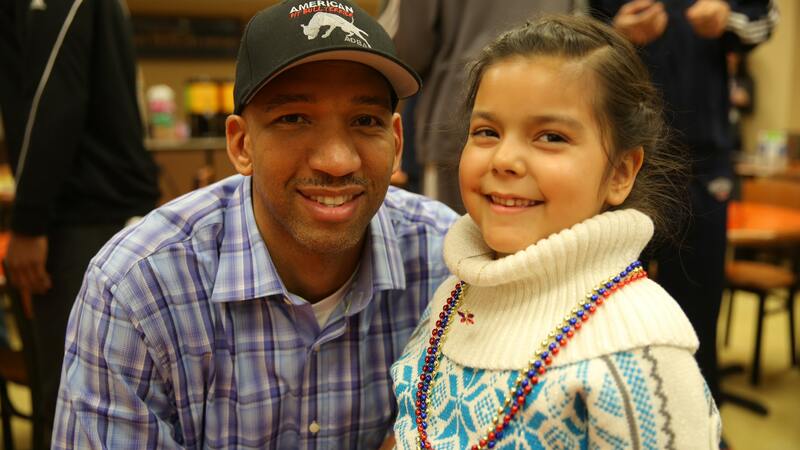 I always look forward to coming here and getting to spend a little time with the kids and their parents." Withey has been visiting St. Jude since his college playing days at Kansas. 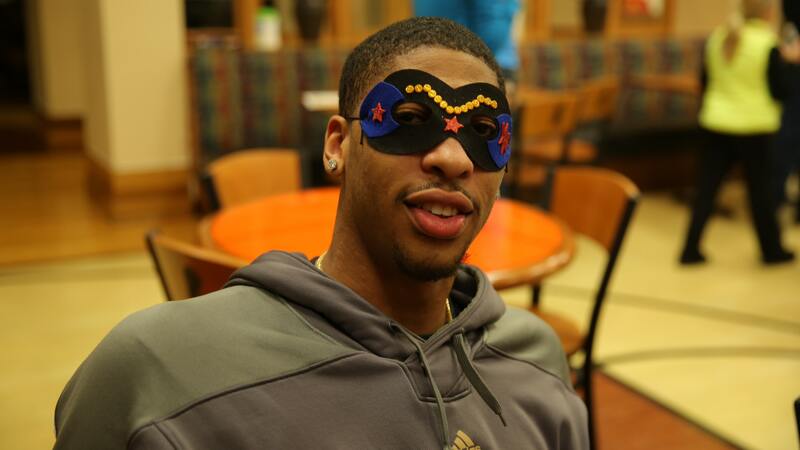 The visit is a season highlight as well for Anthony Davis, who not only decorated masks but also challenged his young audience to try their skills at various games, such as Connect 4. Davis found himself in a particularly tough match with 10-year-old Abby, who’s battling a brain tumor, and her older sister Julia. "I won the first time, but the second time, they had the crowd behind them," Davis said. "They had the 6th man. It took me out of my game, messed up my strategy." Williams’ relationship with St. Jude dates back years, back to when he and his wife Ingrid were touched by the commercials on television and inspired to donate. When Williams became as assistant for the Portland Trailblazers, he had the opportunity to finally visit St. Jude and his commitment to the hospital’s work grew even stronger. 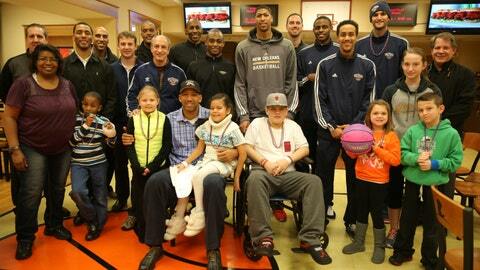 "It’s such a cool place, where kids and their families get a second chance," Williams said. "It’s amazing to get to be a small part of that process. Our guys always look forward to coming. Lord willing, more people will get involved with St. Jude because they still have so much more to do."